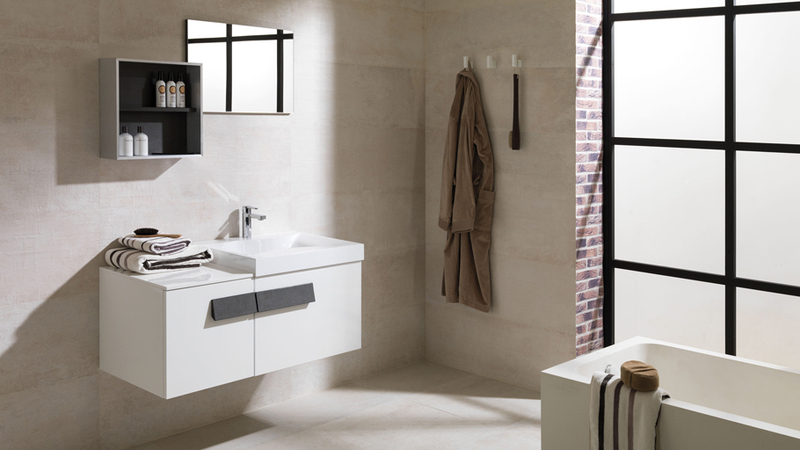 Gamadecor unveils its new exhibition of bathroom furniture with practical and attractive proposals, designed to suit the needs of all users, staying true to the lines followed by the firms of Porcelanosa Grupo in recent years. One of the bathroom furniture collections that is liked by professionals and users who have already discovered the Gamadecor ‘s showroom news is the Flow bathroom furniture. Its ingenious design allows you to create sets of large capacity in a compact design with its apparently continuous handle. In addition, to achieve a more dynamic effect, this furniture can be closed with curved drawers on one of its sides. 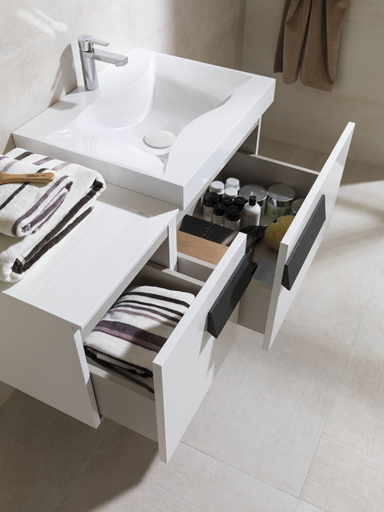 Several units of different sizes and features complete this new Gamadecor’s series, consisting of washbasin units – 60 and 80 cm wide -, lower auxiliary drawers – with the possibility of integrating the towel rail or drawing a right or left curved angle-, and upper units– that can include with a shelf, a mirror door or both-. This collection offers several possible types of basin, such as Flow model in gel coat, whose design configures the current and exclusive character set defined by a pattern of straight lines that become suggestive curves inside. 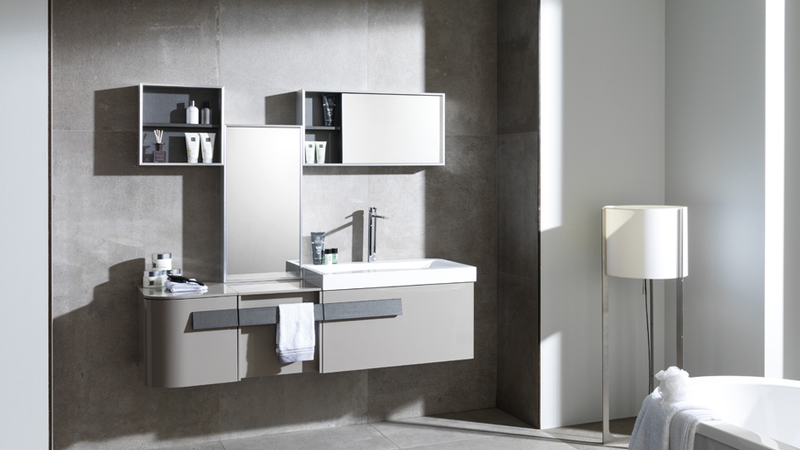 In addition, there is the possibility of combining the collection with a Krion® worktop or in Gel coat with an integrated under counter washbasin. 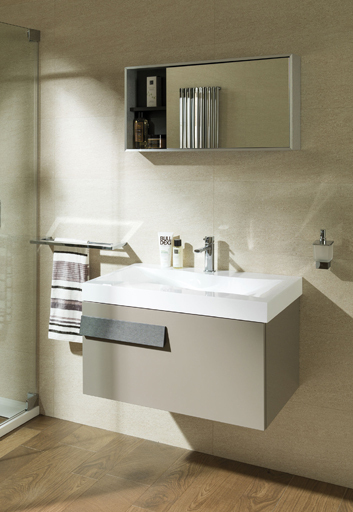 Gamadecor’s Flow bathroom units are available in two possible finishes with a neutral tone range that blends in easily with different settings and styles: blanco gloss lacquer and tortola gloss lacquer.